If you need support navigating health insurance,finding a provider or services, or learning more about healthy behaviors, call your local Community Health Worker at 315-272-2661. The biggest threats to women’s health are often preventable. According to the Mayo Clinic’s staff, here’s what you need to know to live a longer, healthier life. Many of the leading threats to women’s health can be prevented — if you know how. The top causes of death among adult women in the U.S. include heart disease, stroke, cancer and chronic lower respiratory disease, according to statistics from the Centers for Disease Control and Prevention. Take the first step to protect yourself by talking with your doctor about your risk factors for these conditions. Then get serious about reducing your risk. If you have health problems, such as high cholesterol, high blood pressure or diabetes, that increase your risk of heart disease and stroke, follow your doctor’s treatment recommendations. Also be sure to consult your doctor about when you should have mammograms and other cancer screenings. Don’t smoke. If you smoke or use other tobacco products, ask your doctor to help you quit. It’s also important to avoid exposure to secondhand smoke. Get moving. Include physical activity in your daily routine. 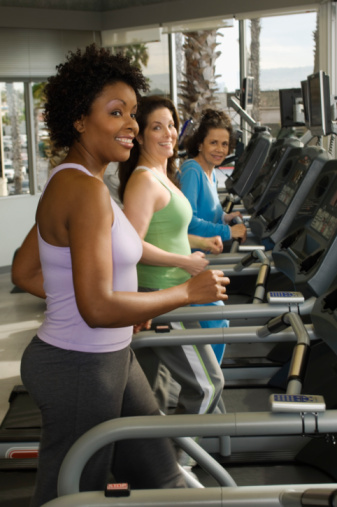 You know exercise can help you control your weight and lower your risk of heart disease and stroke. But did you know that it may also lower your risk of certain types of cancer? Choose activities you enjoy, from brisk walking to ballroom dancing. Limit alcohol. If you choose to drink alcohol, do so only in moderation. For women that means no more than one drink a day. The risk of various types of cancer — including breast and liver — appears to increase with the amount of alcohol you drink and the length of time you’ve been drinking regularly. Manage stress. If you feel constantly on edge or under attack, your lifestyle habits may suffer — and so might your immune system. Take steps to reduce stress — or learn to deal with stress in healthy ways. It’s important to understand the common health risks that women face, but don’t feel intimidated. Instead, do whatever you can to lead a healthy lifestyle — including eating a healthy diet, staying physically active, quitting smoking and getting regular checkups. Simple preventive measures can go a long way toward reducing your health risks.